Regardless of the travel experience you’re looking for, we always have an option that will fulfill your travel dreams. Sanborn’s Travel Service features vacation offers ranging from quick getaways to seasonal specials, Virtuoso Voyages departures and more! Check in often to explore our current offers. Book your Alaska Journey today! BY LAND. BY SEA. BY EXPERTS. WE ARE ALASKA. With unmatched experience and insider knowledge, we are the Alaska experts. Our deep history and roots in the Great Land mean you’ll discover the iconic and authentic Alaska, from Glacier Bay National Park and Denali National Park & Preserve to the wild Yukon Territory. 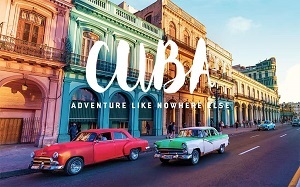 Contact us to book your Cuba Adventure today! 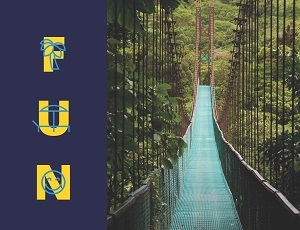 Book your next Funjet Vacation! It's never too early to start planning your vacation. And now it's even easier! Book a balcony category stateroom on any 7 night or longer sailing open for sale and receive a complimentary Specialty Dining Experience for two. 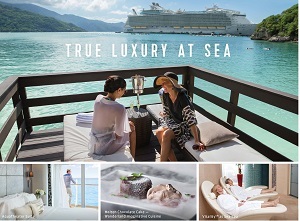 Book a Junior Suite or above category stateroom on any 7 night or longer sailing open for sale and receive a complimentary Specialty Dinner for two plus a complimentary Spa Treatment for one. 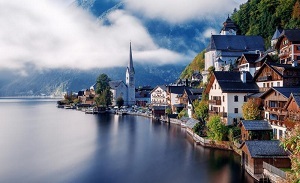 Visit us at Virtuoso for more exciting travel opportunities! In addition to our featured Special Offers, a world of travel opportunities await you in just a few clicks.